One of my favourite artefacts is the set of pop-out maps made by PopOut products. 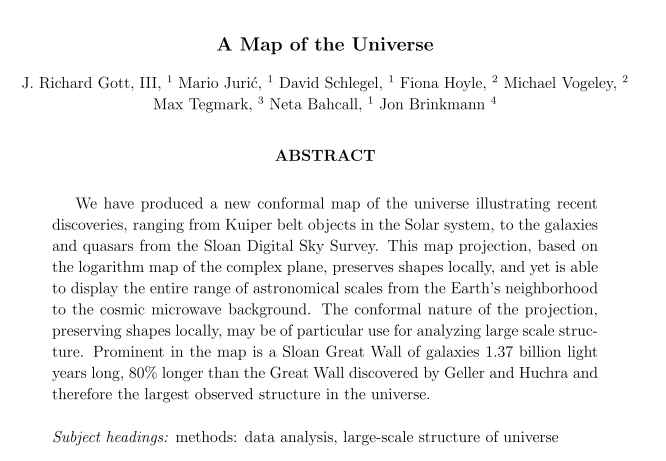 They have cleverly identified both a need - high resolution spatial data in a pocket friendly format without the need for connectivity or power (i.e. a map) with a way of packaging it into a pocket sized unit. 1992 - Having spotted a need to cure what he calls 'Map Stress Syndrome' after watching numerous tourists around the City of Bath, England, battling with oversized maps, founder Derek Dacey recalls the invaluable miniature charts he used during his days as a commercial pilot. Aiming to bring this level of usability to the city map market, a small team of designers is recruited to realise what would soon become the PopOut. 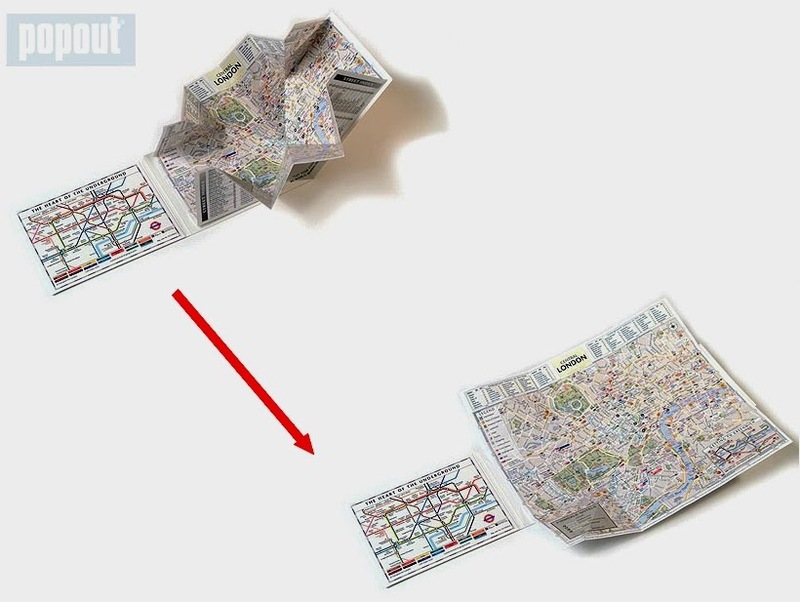 Here is an example of the PopOut map of London UK showing the cunning folding mechanism that allows the centre of London to be packed into the pocket sized format. Good old fashioned ingenuity, high quality printing, paper and card put to great use. Pretty cool - but not expansive. 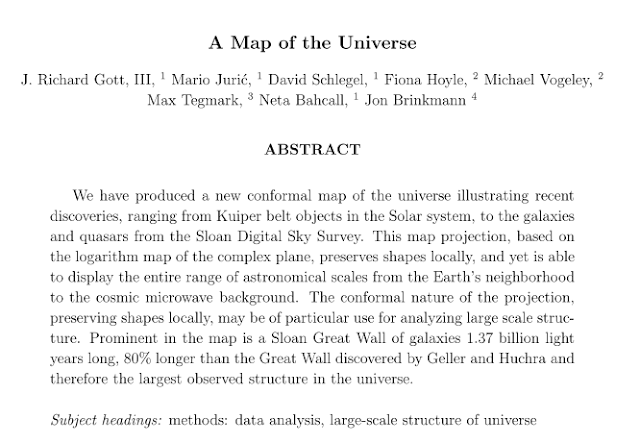 Below is the Mother of all Pocket Maps. Created in 2005 it shows the whole of the known Universe. Moving out from the centre of the Earth in powers of ten multiples of the radius of the Earth (6371 Kilometres). Further details can be found in the paper HERE.